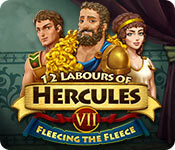 12 Labours of Hercules VII: Fleecing the Fleece is rated 3.7 out of 5 by 3. Rated 4 out of 5 by pennmom36 from UNLESS YOU REALLY WANT WALLPAPERS THIS VERSION IS PERFECTLY FINE I still don't see the need for a Collector's Edition version in a Time Management game. I personally could care less about the wallpapers, or even trophies, and I've never needed a strategy guide, I just replay the level to tweak a few task queues until I get it right. Of course, Big Fish has set the standards when it comes to a CE in a HOPA game, but asking twice as much money for a Time Management game, is something I have a hard time swallowing, so for me, this Standard Edition is perfectly fine. Here's my review so you can decide which version, if any, is right for you: Jason and Hercules have yet another adventure to embark upon, Fleecing the Fleece! 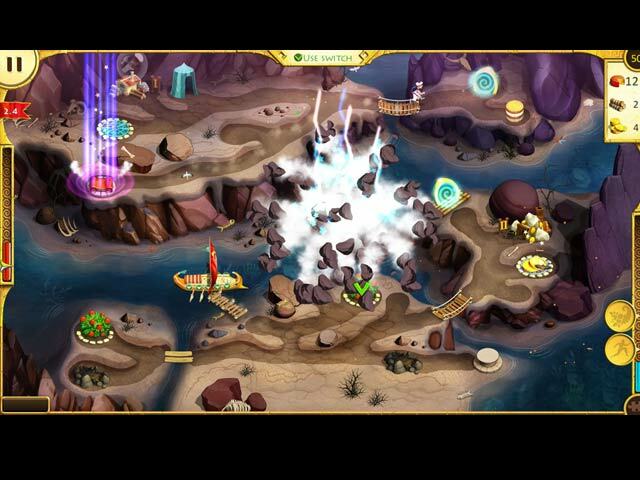 Before this dynamic duo can steal the fleece from the land of Colchis, they must build a boat to cross the treacherous sea, and defeat a powerful dragon! This is the seventh game offered in the 12 Labours of Hercules series, and even though the synopsis states that the graphics are in stunning HD, I didn't really notice anything different or spectacular. There are three different modes of difficulty, Relaxed, Casual and expert, in the CE version, every level that is completed within Gold Time, will reveal a part of the Magic castle, and each level has a puzzle piece to find which looks like an ancient rune tile, and allows you to assemble 5 different puzzles. I always look for the puzzle piece before clicking on anything which starts the game, that way I don't forget about the puzzle piece or waste time searching for it. 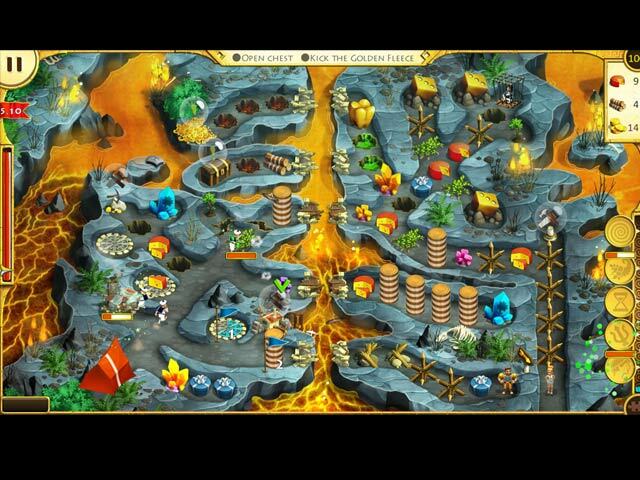 You can replay any of the levels to try to get a better score or if you forgot the puzzle piece. 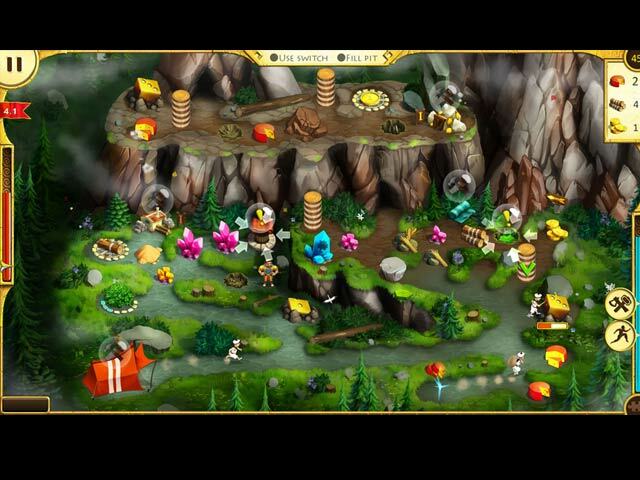 The CE also has 20 Achievements or Trophies to earn for tasks such as collecting a resource after completing the level tasks, completing the level without using bonuses or finding 10 puzzle pieces. As you progress, different bonuses are made available that can be used each time the meter refills, such as more Resources, or Faster workers, but the effects are only temporary. There are the usual tasks of building and upgrading farms, sawmills, goldmines, and even outposts that house workers that are far from home, clearing and repairing paths, and collecting food. Each task requires a certain amount of resources to complete and when you scan over a task, the requirements needed are shown as well as the resources you are lacking to complete the task. You can click on several tasks to have the workers complete, a checkmark will appear on the item for every available worker, and flags will queue the rest in numerical order until a worker is free. In Relaxed and Casual modes, the tasks available are circled in green, yellow indicates you will be able to complete the task once the resources collected are delivered to the base camp, red indicates the item is either blocked or you don't have enough available resources. Hercules is the go to guy for removing things no mere mortal could accomplish, (and there's always an abundance of boulders and landslides in every game of the 12 Labours series) and his wife Megara, takes care of nurturing the tree saplings. The Collector's Edition has 9 Wallpapers, 20 (to the best of my knowledge) Trophies or Achievements to earn, (which can be viewed on the level map) Collectible Puzzle Pieces, Puzzles to complete once all the pieces have been collected, a built in Strategy Guide, and Bonus Level chapters, enjoy! Rated 2 out of 5 by polyanthys from Far too difficult I used to really love this series. I like to play for gold and I like to be challenged. But if, after playing a dozen times, I'm struggling to get silver on every level I lose interest. I'm not sure why the last few games in the series escalated the difficulty level so high but I will certainly not punish myself by buying another.